When we hear “sandbagging operations” we think of mass volunteers with shovels filling, tying and placing the bags. This is no easy job and is a logistical nightmare coordinating volunteers, trucks, food, sanitation and everything else that is involved in a sandbagging operation. Now there is a system that makes sandbagging operations much easier drastically reducing the amount of volunteers while increasing the amount of sandbags. The SandMaster Sandbagging System is the only sandbag system that fills, transports, securely closes and places the bags where they are needed. With the capability of producing 4,800- 6,200 sandbags in 8 hours with only 3 people, protection can be provided quickly without the typical large human workforce. Even though forecasters are predicting fewer storms than normal for the 2015 Atlantic Hurricane Season, that does not mean that it will be any less deadly or destructive than some of the Hurricane Seasons we have seen in the past. As we saw with Hurricane Sandy in 2012, one storm directly caused 72 deaths and over $50 billion in damage in 24 states. Take a look at some of the devastating hurricanes over the last 30 years. 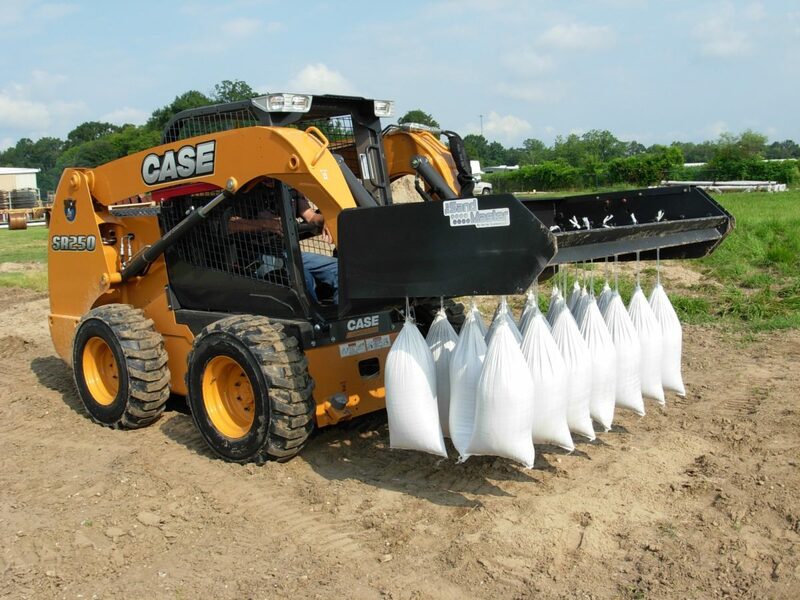 Being prepared before the hurricane makes landfall is key, and with the SandMaster sandbagging attachment, protection for homes, businesses and communities can be provided quickly without the typical large volunteer work force. 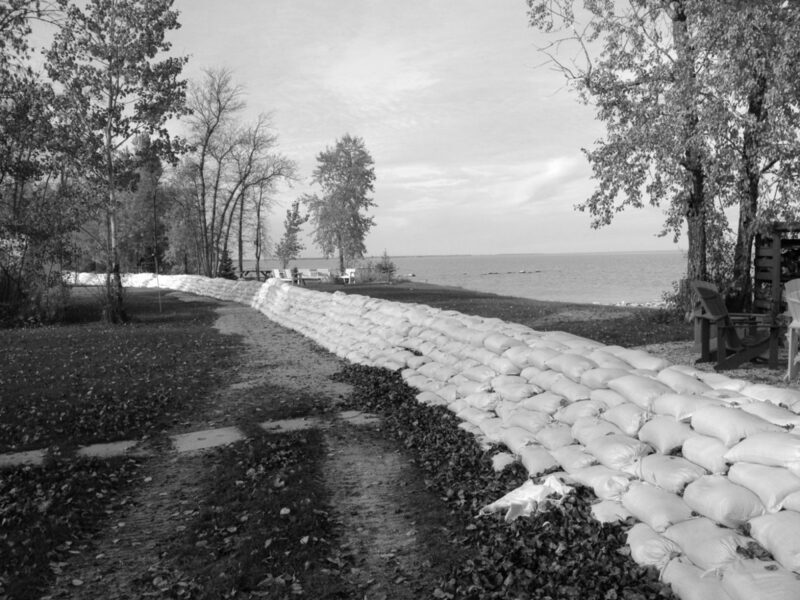 The SandMaster, with its capability of filling and placing 4,800 -6,200 sandbags in an 8 hour period, can efficiently and cost effectively provide the needed flood protection saving both lives and property. Reduce labor, reduce response times and reduce damage and devastation by having the ability to fill and place sandbags at an amazing rate! The difference between PRESERVATION & DEVASTATION is the quantity of sandbags in place. With the first named storm of the season, Ana, making landfall and creating havoc with a considerable amount of flooding and the damage that goes along with it, now may be the time to look at an alternative way to quickly fill and place multiple sandbags. The SandMaster Sandbagging System is an affordable way to fill and place large quantities of sandbags very quickly with very few people. 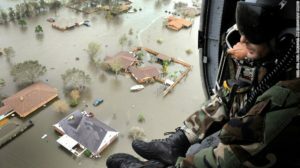 The System pays for itself in a matter of days while quickly protecting homes, businesses and communities from rising waters. 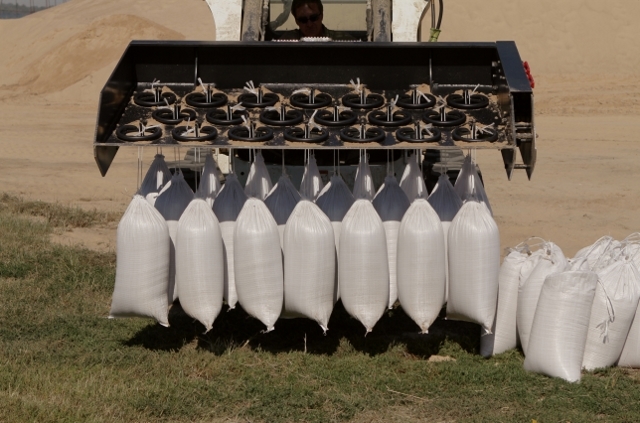 Flooding happens most often with very little warning so having the ability to fill and place over 600 sandbags per hour with only 3 people, waters can be diverted and properties protected in a fraction of the time with minimal labor compared to conventional “by hand” sandbagging methods. 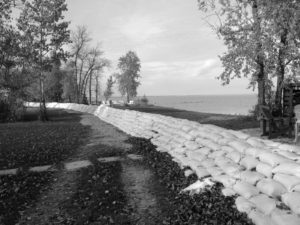 The pain and despair flood events cause lingers on long after the waters recede so get ready today with the SandMaster Sandbagging System from Barrier Systems LLC. Sold in quantities of 6,000 only. When you call 911 for an emergency, you don’t expect them to go out and build an ambulance prior to coming to your aid do you? Of course not! That would not make any sense and would defeat the purpose of having such a service. The whole idea is to have a system to allow for emergency personnel to be contacted quickly and respond in the same fashion to save lives. 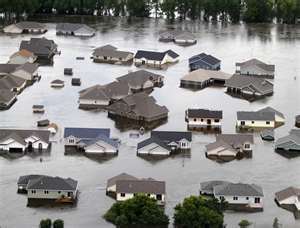 Why would emergency flood control be any different? By having the SandMaster Sandbagging System ready and available, large quantities of sandbags can be filled and placed quickly and efficiently with a fraction of the workforce typically required in sandbagging operations. When you need it, you need it, so don’t wait until your community is threatened by flooding to start building the ambulance. Get the most efficient sandbag filling system on the market today and know you will be ready to respond to the emergency tomorrow.